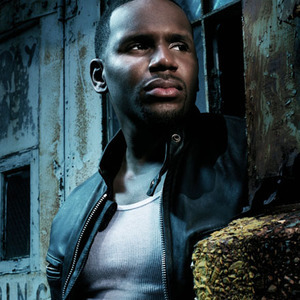 Avant (born Myron Avant on April 26, 1978 in Cleveland, Ohio) is a multi-platinum American R&B singer. Despite numerous rumors Avant is a not a relative to the famed R&B singer, R. Kelly. He graduated from the Cleveland School of the Arts in 1995 where he majored in theater. He is best known for hits such as "Separated" (the remix to which features Kelly Rowland), "My First Love," which one version features KeKe Wyatt, and "Read Your Mind" (the remix to which features Snoop Dogg on the extended promo vinyl). He graduated from the Cleveland School of the Arts in 1995 where he majored in theater. He is best known for hits such as "Separated" (the remix to which features Kelly Rowland), "My First Love," which one version features KeKe Wyatt, and "Read Your Mind" (the remix to which features Snoop Dogg on the extended promo vinyl). He was featured in the remix to the Lloyd Banks song "Karma" from the 2004 album The Hunger for More, and has also had a cameo appearance in the 2004 feature film BarberShop 2: Back in Business. He also did a remix of The Pussycat Dolls song "Stickwitu." He stated that he refused to cooperate with The Pussycat Dolls at first until they offered him a better contract and to perform it and sing his way for a better single. Avant has also appeared on the Oxygen Network reality TV show Janice Dickinson Modeling Agency when he asked Janice to have models dance with him during the release party of the album Director.